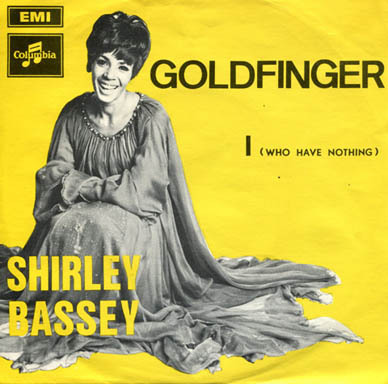 The song “Goldfinger,” performed by Shirley Bassey, was written by John Barry with lyrics by Leslie Bricusse, and Anthony Newley for the 1964 James Bond film Goldfinger. The song was used in the film’s opening and closing title sequences, and it was on the soundtrack album. They also released it as a single, and in 1964, it went to #8 on the U.S. Billboard Hot 100, #2 on the U.S. 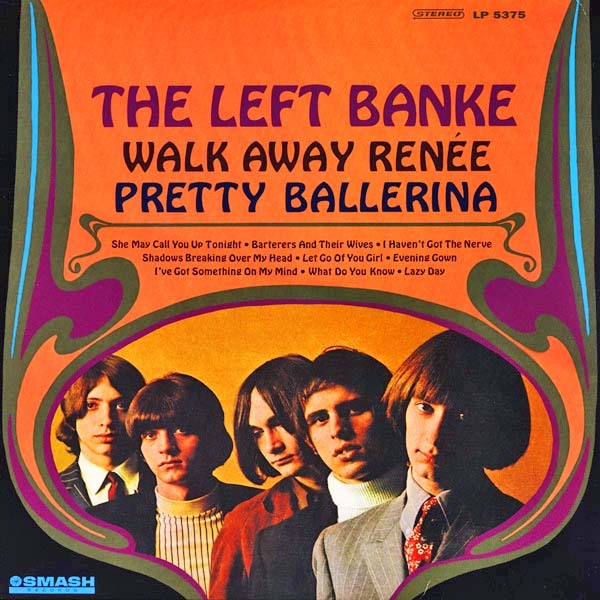 Adult Contemporary Chart, and #21 in the U.K.
Barry was scoring the film and was asked to create a theme song that would have the same sort of success that “Moon River” did for Breakfast at Tiffany’s. They also wanted something big and powerful, like “Mack the Knife.” Bricusse and Newley did not see the script, but they did know about how Goldfinger painted women gold. Newley made a demo, but they wanted a different singer. Shirley Bassey, who was going with Barry at the time, was their choice. She loved the song. They recorded it with Barry as the producer, although Bassey’s regular producer George Martin (of Beatles fame) got the credit. Guitarists for the track were Vic Flick, Jimmy Page, and Big Jim Sullivan. It was a long, long recording session. Bassey had difficulty sustaining that final note, so she went behind a partition and removed her bar. Bassey said, “I was holding it and holding it…When it finished, I nearly passed out.” It is quite a note. Sean Connery starred as James Bond in Goldfinger. The film was the third in the James Bond film series after Dr. No (1962) and From Russia with Love (1963). Goldfinger introduced some elements that appeared in the later James Bond films, including the long pre-credits sequence as well as the use of gadgets and technology. Goldfinger received an Academy Award in 1965 for Best Sound Effects Editing. The American Film Institute has the movie on several rankings. One is for the best movie quote (“A martini. shaken, not stirred); best song (“Goldfinger” by Shirley Bassey); best villain (Auric Goldfinger); and most thrilling film. Shirley Bassey, who is now Dame Shirley Veronica Bassey because of her contribution to the performing arts, was born in Tiger Bay, Cardiff, Wales, in 1937. She has been one of the most popular female singers in the U.K., with more than a 50-year span of appearances on the U.K charts. She also recorded the theme songs to other James Bond films, including Diamonds Are Forever (1971) and Moonraker (1979). Bassey continues to record and perform. The Pass the Paisley Groove Pad is a resting stop, a place to chill out and listen to the featured song on the stereo. If the mood strikes you, click on the juke box to access and listen to the 50+ commercial free sixties songs there. The TV has several channels, with selections updated twice a week. 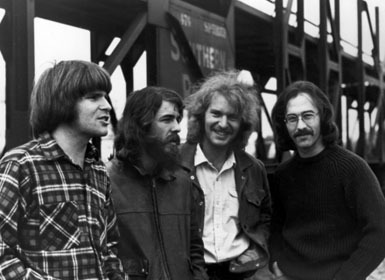 Every now and then, Pass the Paisley hosts an all-request of 1960s and 1970s songs for a Be-In at the juke box in the Groove Pad. Keep on truckin’. Hope you enjoyed “Goldfinger” by Shirley Bassey.